I like to write about inexpensive desktops that can do a very good job of running Second Life and other games. I found one today that on paper delivers incredible performance for $689.00. Before you read this, realize that if you buy this desktop PC and it does not work for you, I have not tried it in person- I just am reviewing the specifications, benchmarks and reviews and can tell you that this is a superb buy- on paper. 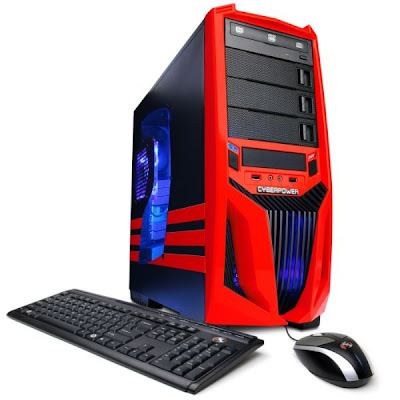 Sears (the huge American middle of the road mail order concern and department strore) sells a line of Cyberpower gaming desktops at very good prices. Why should you buy something at Sears? Generally because if it does not work they take it right back -- but this is something that you will need to check out for yourself. Also, if you are in the United States, and can drive to a Sears, it beats mailing it back in. The ATI 3850 Fustion APU (please note: I have no idea what the "A" stands for but I can tell you that the PU stands for Processing Unit) is the highest rated of a radcial new class of computing processing units that combines a CPU and a Graphics Card. 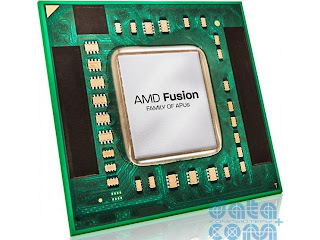 Basically, the premise of what has been called "Llano Architecture" (code name by ATI ) is that computing and graphics processing power is shared between the two and not wasted. The 3850 can run a mid-range supplemental ATI graphics card to increase graphics processing power. In short, there is less waste here than there would be if the graphics card were discrete. The reviews have been anywhere from very good to jaw-dropping for gaming applications (Second Life is considered a game due to its multimedia requirements), especially based on this low price point, which is dirt cheap. I don't know what the "A: stands for but its advanced technology. PC Magazine (note- this computer comes with a discrete graphics card, which is a requirement according to this review). This Cyberpower Windows 7 desktop sold by Sears employs the 3850, has a separate Radeon 6550 graphics card that runs with the 3850, has 8 gigs of RAM, and a 1 terabyte hard drive. At $689.00 with free shipping it's a steal. I doubt that you could assemble all these components at this price on your own with Windows 7 and build this on your own --- and I would rather have the assembly work done for me. Granted, the red case is not for everyone's taste. I kind of link anything but black though. Please check the warranty if you buy this. I believe that Cyberpower gives you a three year warranty on labor, one year on parts -- but check to see what Sears policy is if you decide to buy this. I would buy this desktop today if I needed a replacement. It should do a bang-up running Mesh, but again, you are on your own if you buy it. Thanks for your nice information. I like it.